Bring your family to hang out with Knights around the pits. Bring something to share for dinner. Knights of Columbus Council 10861 invite high school seniors and college students of our parish to apply for the 2019 Danny Barrera Memorial Scholarship. The application is available on the parish website, in the parish office or from a member of the Knights of Columbus. The deadline is April 13. We have 20 spots for Saturday, February 23rd. The hours are: 8 AM – 2 PM. Lunch is served at 11:30 PM. The age requirement is 16 years or older but all youth under 18, must have an adult supervising. The weather help line to check for cancellations is 281-653-8988. There will be waivers to sign once on site. During your First Degree ceremony, you learned about the Knights of Columbus principle of Charity. 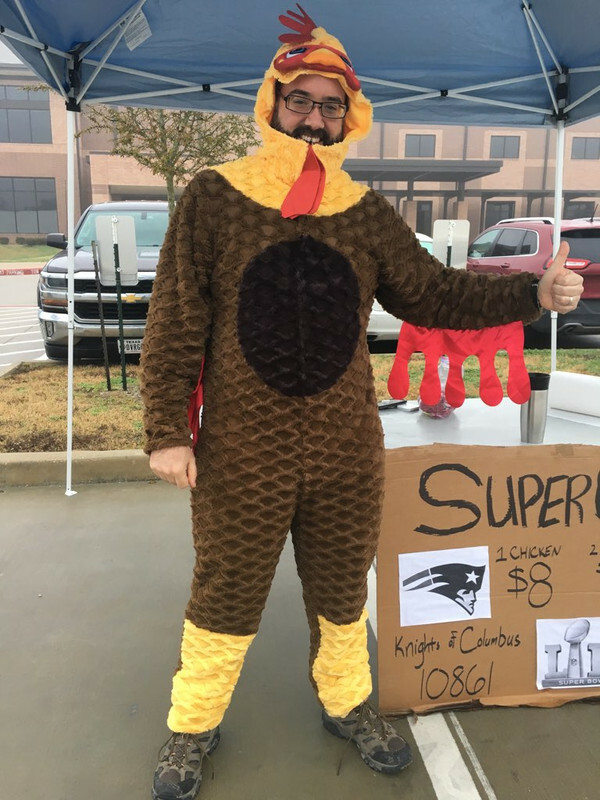 In charity, Knights show love and compassion for our neighbors with material and spiritual support. Knights of Columbus Council #6557 will host a Major Degree Exemplification on January 19th at 29327 South Plum Drive, Spring, TX 77386. We encourage all First Degree members to complete their Major Degree to learn about the K of C principles of Unity and Fraternity. In unity, we can accomplish far more than any of us could individually. In fraternity, we watch out for and take care of our Brother Knights and their families. Please see the attachment for details, mark your calendar and contact Mark Haubert to reserve your seat for this important step towards full Knighthood. Members of our Council will meet at the church parking lot at 7:45 and leave at 8 a.m. from St. Ignatius to carpool DeBakey Medical Center. Knights will spend time with veterans and attend Mass at the Center's chapel before returning. Wives and older children (age 13 and up) are also invited. Knights from around the Archdiocese visit our veterans at DeBakey VA Medical Center every Sunday throughout the year. Lcdr. 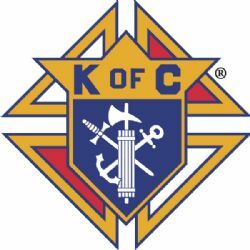 Joseph T. O'Callahan Assembly invites all Brother Knights to an open meeting on Thursday, Jan. 24, to learn more about the Fourth Degree of the Knights of Columbus. The open meeting will be at St. Ignatius' McGivney Hall with dinner at 6:15 pm and the meeting at 7pm. Wives are also invited to the meeting. The next Fourth Degree Exemplification is Saturday, Feb. 23, at Shrine of the True Cross in Dickinson. Learn more about Fr. Emil Kapaun and his path to sainthood. Fr. 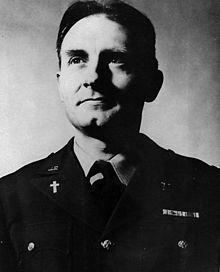 Kapaun (April 20, 1916-May 23, 1951) was a priest and Army captain who served as a chaplain during World War II and the Korean War. He was captured and died in a prisoner of war camp. In 1993, Pope John Paull II declared him a Servant of God. In 2013, Kapaun posthumously recieved the Medal of Honor for his actions in Korea. St. Ignatius will host St. Joseph’s Altar in 2019 and the group is looking for addition help with this special parish tradition. They are expecting to have an even bigger event this year in the renovated Christus Center and commercial kitchen. There will be a planning meeting on at 7pm Thursday, Jan. 3, 2019, in the Christus Center for anyone interested in joining this event. Council dues for 2019 will be $40. Your Knights of Columbus dues are payable, regardless if you've moved and/or attending another Catholic Church. 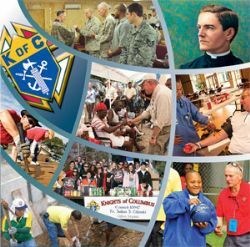 Remember to keep your First Degree Pledge to "always keep your KofC dues current." Therefore, if you are behind on your dues, pay what you can and/or let SK Norbert Grijalva know of your circumstances (which will be kept private and confidential). 1. By cash or check - Made out to KC Council 10861. Mail to our Financial Secretary, SK Norbert Grijalva or bring to January meeting. 2. By credit card through PayPay clicking the PAY NOW button below. 1. Because PayPal charges the Council a transaction fee, we need to charge $41.50 if you pay your dues with a credit card. 2. You do not need a PayPal account to use this function. (b) To complete a digital form via the website, sign into the Members Only area and click on Record Your Volunteer Hours. Input information and submit. NOTE: It is only necessary to submit your volunteer hours via one option. Please do not submit both paper and online. We have created some new emails to go with our new Council website. We will be able to pass these emails on to the next set of Officers and Directors each year. The emails will remain the same - and easy to remember - even if O&D members change each fraternal year. Council members can track their annual volunteer hours - which are recorded at the end of the year and sent to Supreme - through our new website. Under the MEMBERS ONLY page, see Record Your Volunteer Hours and Visits. Click the button below and enter your hours in various categories. You can also set a monthly goal. The Financial Secretary, Grand Knight and Webmaster will be able to track these online records. Youth from our parish are invited to use their imagination and artistic talents to create a poster that shows the true meaning of Christmas. 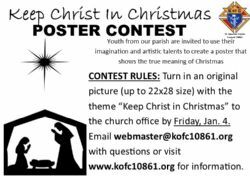 The poster must be an original picture and include a theme related to “Keep Christ in Christmas.” Posters should include the child’s name, age, grade and a parent’s contact on the back. The deadline is Friday, Jan. 4. Posters need to be turned into the St. Ignatius office. 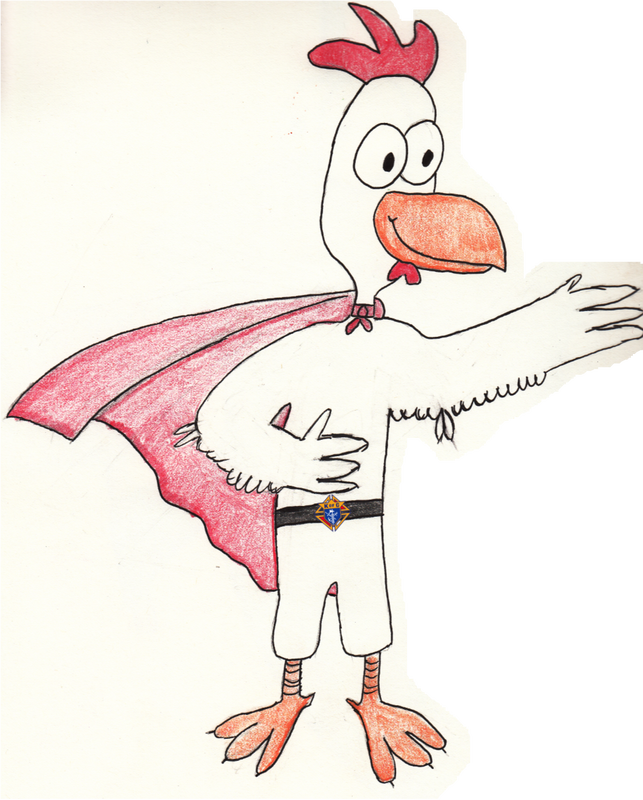 All entries become the property of the Knights of Columbus and will not be returned. Prizes will be awarded for age group winners. Click here for instructions with pictures. 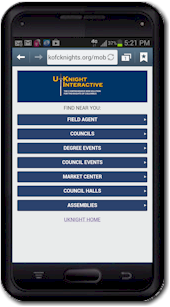 Our new website – supported by UKnight – has a password-protected Members Only page with our Council’s roster. You can go there to update your contact information and add a picture to your profile. The following instructions show how to update that information. 1. From our Council’s homepage click on the MEMBERS ONLY button in the left column. 2. Log into the Members Only page by using your KOC membership number and your birthdate. 3. Click Access Council Members List. This opens our Council roster. 4. Find your entry in the Members list. Click the UPDATE button under your entry. Click Choose File and select a photo from your computer. Click Open. Scroll down to the box that reads PLEASE CORRECT THIS INFORMATION. Fill in or update contact information. Click SUBMIT YOUR CORRECTIONS. These corrections will be updated on the website and will be sent to our Council’s Financial Secretary to be fixed in his records for Supreme. 7. Click RETURN TO THE UPDATED MEMBERS LIST to return to the Council roster. 1. Click EVENTS CALENDAR in left column. NOTE: You can also send an email to the event chairman if you have questions. 3. When you hit CLICK TO SIGNUP it opens a SIGN-UP ROSTER page. NOTE: Members of the public (non-Council members) can also volunteer for these events by filling out the For Others in the Community boxes. 5. A review of your information is shown. Click COMPLETE THIS SIGN-UP to register. 6. You will receive an email after signing up to confirm. You will also be on the event roster so the event chairman can send reminders or updates before the event. When you return to the EVENTS CALENDAR page, there will be a button at the top that says CLICK HERE to see events for which you have already signed up.